Temporary van insurance is a popular choice for anyone using a van part-time, whether for business or pleasure. You can get short term van insurance cover from as little as a single day, and by only insuring your van for the days, weeks or months you’ll actually be driving it, rather than for a full year, you’ll save money too. There are plenty of top UK insurers who offer temporary insurance deals for a range of van makes and models, and we search out the best deals available right now, making it easy to find the right policy to suit your needs. What do insurance companies class as temporary van cover? Some insurers will also offer shorter periods of just a few hours, or longer term policies of up to 6 months, though there are fewer underwriters dealing in these more niche requirements. Generally speaking, after 6 months it also becomes more financially viable to take out a full 12-month policy, as the savings you would make through temporary cover become negligible in many cases – so before you take out a policy, make a realistic judgement about how often you’re likely to use your van. Why might I need short term insurance? For short term van insurance, a day or two of cover might be all that is needed in order to borrow a friend’s van to move house. Weekend insurance (generally Friday – Monday morning) is a popular choice for those seeking to relocate cross-country, or with bulky items to transport. Alternatively, you might have bought or sold a sizeable piece of furniture which needs collecting or delivering, and won’t fit in your car. For such one-off occasions, temporary insurance is ideal. Furthermore, some hire companies also request that you organise your own insurance for any van rented, which can necessitate temporary cover. For longer periods of a week or more, often business use is involved, which would have to be stated on any insurance policy you took out. Businesses may need to make deliveries of larger items, or collect materials in order to manufacture goods. 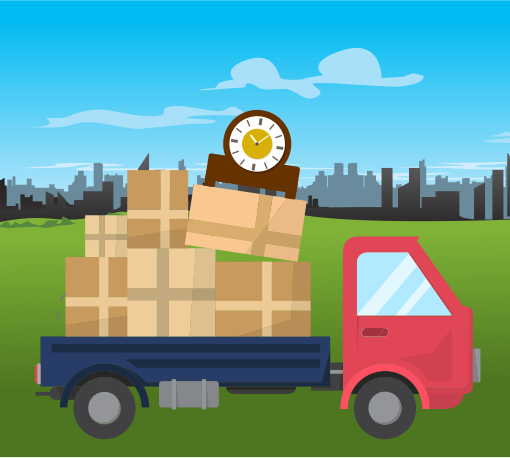 Many smaller companies will offer home delivery of sizeable items but will only do so on selected dates, when they can combine several deliveries in a similar area into one van and therefore save on costs. In those situations, temporary van hire for a week may be a sensible option, if the van is not needed otherwise. Conversely, you may be a regular van user but, if you are undertaking a longer journey than usual, you may wish to add an extra driver on to your insurance for the duration of the trip in order to share the driving responsibilities. Or there may be a situation in which you are unable to drive on a short-term basis, and need someone else to take over those responsibilities until you can resume work. Finally, temporary van insurance can be ideal for people who want to buy a van and simply need cover to get it from the dealer forecourt back to their home, where they can compare deals on a full 12-month policy from the comfort of their sofa. This is often the case when you do not know for certain which van you are likely to buy beforehand, and therefore finding the best deals cannot be done in advance of the purchase. What are the benefits of temp van cover? Temporary or short term van insurance covers you for all the same situations as a standard annual policy and you can often add on the same extras such as key cover, windscreen damage, courtesy vehicle and legal cover, should you require any of them. Where you gain the most benefit is financially – if you only use your van for 30 days a year, it is counter-productive to pay for 365 days of cover when you don’t need to. By only paying for the time that your van is actually on the road, you’re saving yourself money – which can then be put to better use. What’s covered by my temporary van insurance? Most temporary insurance policies are fully comprehensive, which provides cover for you, your vehicle and any passengers or goods in any situation where damage or injury occurs including the third party if involved, whether or not it was your fault. ‘Acts of God’ are the only situations not generally covered by insurers – for instance, your car getting hit by lightning, or being washed away in a flash flood. As the policy owner, though, you are expected to take measures to ensure that things are unlikely to go wrong, such as making certain that goods are securely stowed and adequately protected from damage during the journey. You are also expected to drive within the limits of the law and the vehicle – so when driving a van you need to be aware of its size, weight and load capacity. Van height often catches people out, especially at drive-thru restaurants or car parks with a clearance barrier; equally, if the police happen to pull you over and your van is carrying more weight than it is safely built to endure, you risk fines and possible prosecution. Insurance will not necessarily cover you for these eventualities. Another thing to bear in mind is that most insurers require drivers to have held a full licence for at least 1 year prior to taking out temporary van insurance. Drivers with a standard category B (car) licence are also only legally allowed to drive vans with a maximum gross weight of 3,500kg. That includes the weight of any goods or equipment you may be carrying – though this is rarely an issue for the average van user. Whatever your reasons for wanting temporary van insurance, you’ve come to the right place. Simply fill in the Quotezone form to find a selection of short term policies to suit your requirements, and you’ll be on the road in no time!